Johnson & Johnson (NYSE:JNJ) recently posted a better than expected Q2 performance with an 11% jump in sales, led by a ramp up in Oncology drugs – Darzalex, Imbruvica, and Zytiga. The company’s Medical Devices segment also saw a low single digit revenue growth, led by Vision Care. The company has revised its full-year 2018 revenue guidance to be in the range of $80.5 to $81.3 billion, and earnings range of $8.07 to $8.17 per share. As we look forward, we continue to believe that Oncology will drive the company’s near term growth. 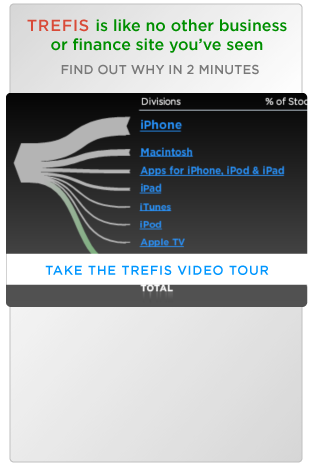 We have created an interactive dashboard ~ A Quick Snapshot of J&J’s Q2 Performance And Trefis Estimates For 2018. You can adjust the revenue and margin drivers to see the impact on the company’s revenues, earnings, and price estimate. Pharmaceutical segment sales of $10.4 billion grew 17.6% (y-o-y), primarily led by a solid 42% growth in Oncology drugs sales. Within Oncology, Darzalex grew 71%, Imbruvica 38%, and Zytiga 63%. Consumer Healthcare segment revenues of $3.5 billion were flat, as Baby Care products continued to see decline in sales. Medical Devices sales of $7 billion were up 2%, primarily due to higher revenues from Vision Care and Interventional Solutions. Adjusted earnings margin improved by 80 basis points, and adjusted EPS grew 15% . We now expect J&J’s Pharmaceuticals revenue to grow by a little over 10% in 2018, primarily led by a continued ramp up in oncology drug sales, which were up 43.5% (y-o-y) in the first half of 2018. This can be attributed to strong growth for Darzalex, Imbruvica, and Zytiga. The company’s management stated that Zytiga is seeing growth in the metastatic high-risk castration sensitive prostate cancer indication based on the LATITUDE clinical trials, and it is unlikely to see any generic competition this year. This should bode well for the Oncology segment. Darzalex is also seeing growth both in the U.S. and international markets. The positive trends for these oncology drugs will likely continue in the near term, and we forecast a growth of 28% for Oncology segment revenues. Beyond Oncology, we expect a strong growth in Pulmonary Hypertension drugs, which the company acquired through Actelion last year. Looking at the Medical Devices segment, we forecast a low single digit revenue growth, as an expected decline in Diabetes Care, will be offset by growth in Vision Care, which is benefiting from Abbott Vision Optics acquisition synergies. In fact, Vision Care revenues are up 23.5% to $2.29 billion in the first half of 2018, partly from the cataract business. In the Consumer Healthcare business, revenues will likely grow by 2.6% to $13.95 billion in 2018, as an expected decline in Baby Care and Other Consumer Healthcare revenues will likely be offset by growth in Skin Care, and OTC revenues. While Baby Care revenues in Q2 were also impacted by the reseting of shelves by retailers for the new products, we forecast a low-mid single digit decline for the full year. Also, the company was recently ordered by a jury in Missouri to pay $550 million in compensation and an additional $4.14 billion in punitive damages, in a case related to its talc products. The company was previously able to get relief in a similar case last year, where a woman alleged that she developed ovarian cancer after using J&J’s talc products. The company’s management in the recent earnings conference call stated that it will likely see a reversal on the jury’s verdict, as the talc products do not contain asbestos and cause ovarian cancer. However, the company has spent an average of $1.5 billion in litigation expenses annually over the last 3 years. There are more than 9,000 cases for its talc products alone. While there could be a relief in the recent verdict post appeal for J&J, any increase in litigation expense will have an adverse impact on its GAAP earnings. Overall, J&J’s Q2 results were largely in line with expectations, with a ramp up in oncology drugs sales. We believe that oncology drugs will be the key growth driver for J&J in the near term. We currently estimate Zytiga sales to be north of $3 billion and Imbruvica sales to be around $2.5 billion in 2018. We expect the company to post earnings of $8.17 in 2018. We forecast a TTM price to earnings multiple of around 18.5x, which is slightly lower than most of the estimates for the sector, reflecting the risk of generics to J&J’s blockbuster drugs, such as Remicade, to arrive at our price estimate of $151 for Johnson & Johnson. This implies a premium of around 20% to the current market price.